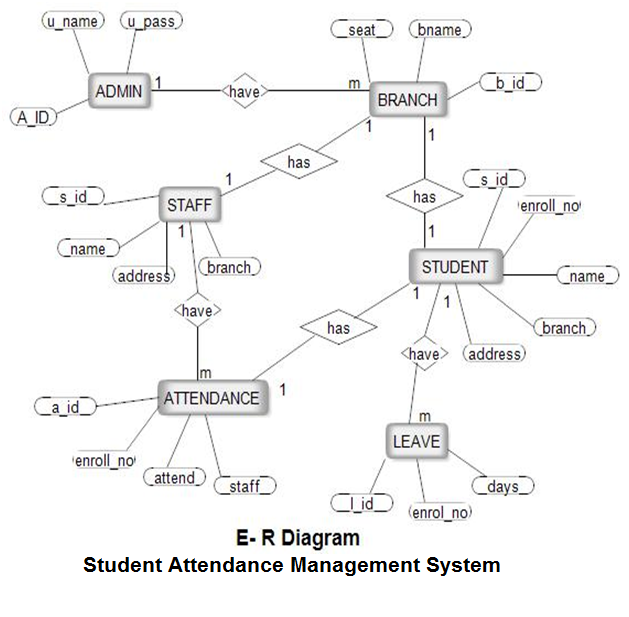 E R Diagram For Student Attendance Management System. 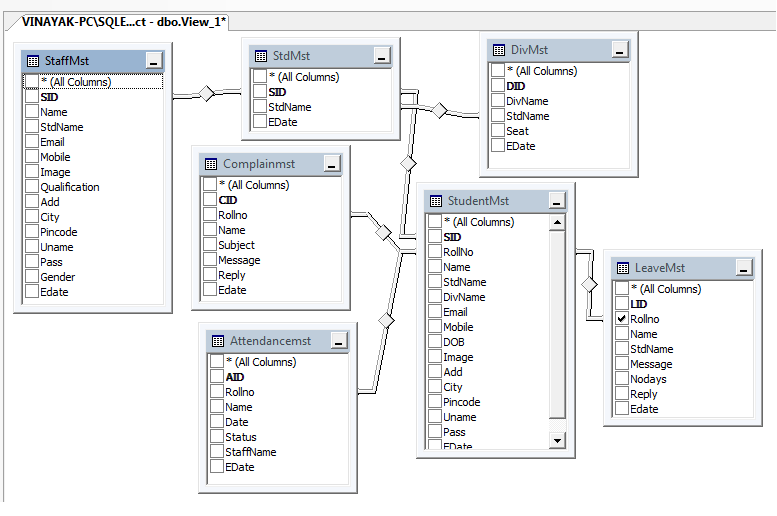 E-R (Entity-Relationship) Diagram is used to represents the relationship between entities in a table. E-R diagram means Entity Relationship diagram. Entity means object of system, generally we refer entity as database table , the e-r diagram represent the relationship between each table of database. 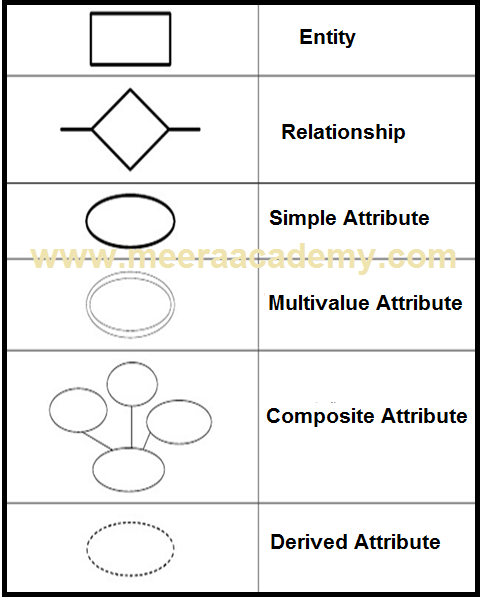 E-R diagram represent entity with attributes, attributes is a properties of entity. If we assume entity is a database table then all the columns of table are treat as attributes. Download Student Attendance Management System.